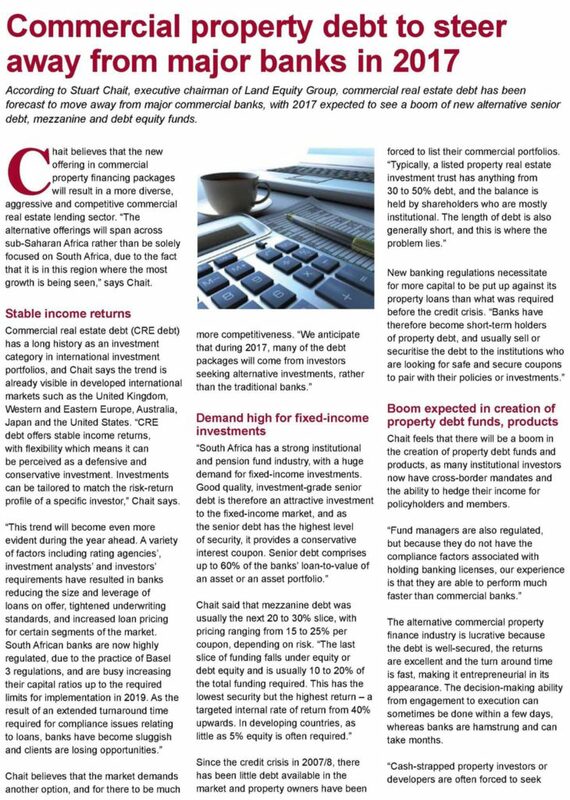 Commercial real estate debt has been forecast to move away from major commercial banks, with 2017 expected to see a boom of new ‘alternative’ senior debt, mezzanine and debt equity funds. At Land Equity we believe that the new offering in commercial property financing packages will result in a more diverse, aggressive and competitive commercial real estate lending sector. Read more in this article where our Executive Chairman Stuart Chait shares some insight.